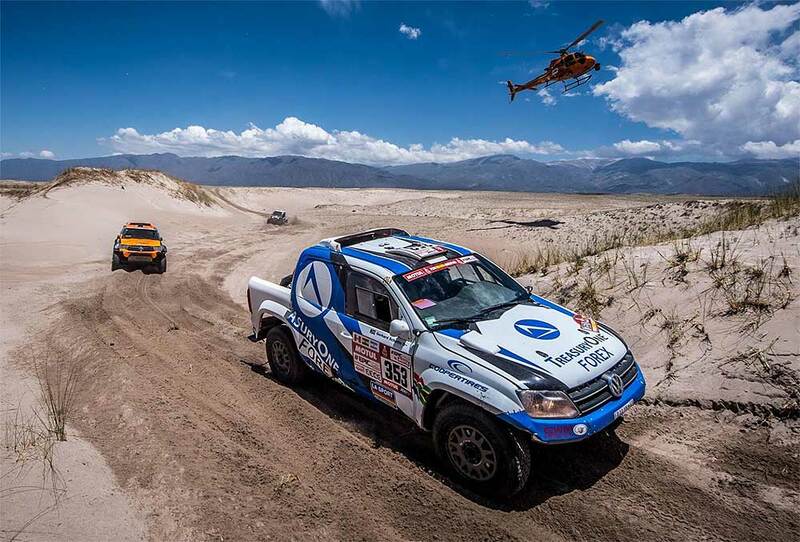 The Rookies of "TreasuryOne Motorsport" brought the Ford V8-powered Amarok home 30th as they moved up to 29th overall in the car race on Thursday's 12th stage of Dakar 2018 from Chilecito to San Juan. Significantly however, de Klerk and Schutte have provisionally moved into the lead of the rookie race, with two days of the epic race across South America left to run. The Amarok crew was the only rookie team among the cars to reflect as a finisher on Dakar's results Friday morning and although more vehicles can still be expected to arrive late, the previous rookie leaders, Spaniards Oscar Fuertes Aldanondo and Diego Vallejo had already lost more than their three hour lead earlier in the stage. "Dakar is proving to be an incredibly tough challenge," a happy but exhausted Hennie de Klerk explained Thursday evening. "We have all had our challenges along the way - a few days ago we were leading rookies and then it all went wrong for us, now our main rookie rivals have hit trouble and we are back ahead. There really is no room for error and while we are apparently now ahead in the rookie race, it will not be over until the fat lady sings - until we are standing on that finishers podium in Cordoba come Saturday afternoon." 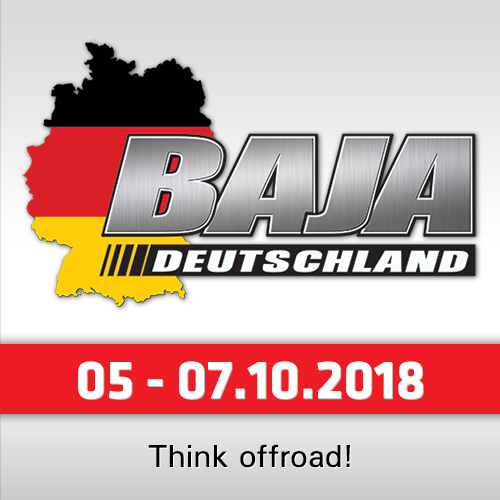 The crew is finding the going increasingly tough the further they venture into the Dakar. "We are all exhausted now," de Klerk confided. 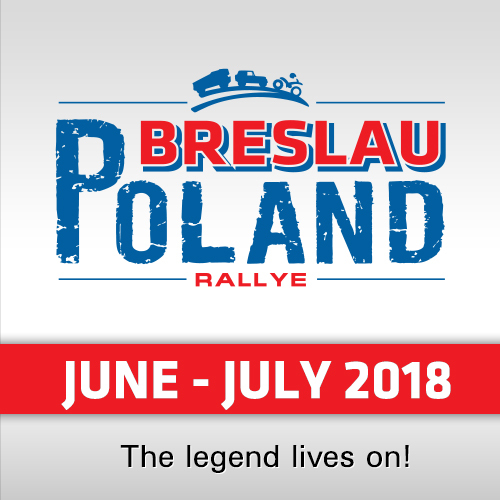 "Gerhard and I have been in the car fifteen or more hours a day, every day - temperatures are reaching the mid 40s and our air conditioner finally packed up for good already last week - the going is extremely tough." "On Thursday we were in the car from 4am and finally came into San Juan late and like every time we come in there is plenty work to be done on the car. Our team and the South Racing guys have had to do a few all-nighters to get us out there the next morning. Then on Wednesday we came over a dune to find a side-by-side racer stopped just over the other side - his sentinel, which would normally warn us he was there, was not working and fortunately, he was on the other side of the buggy when we crashed into it - we simply could not avoid it." 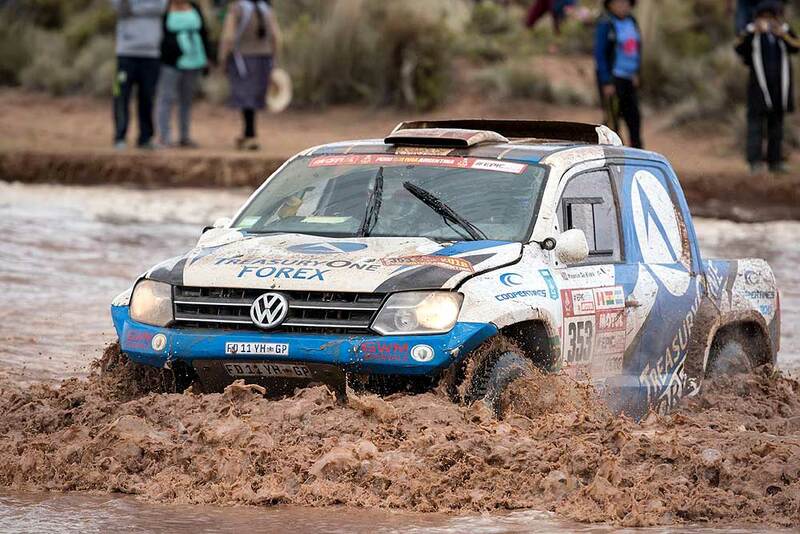 "That also meant the guys had to work late to fix our car again, but we have run out of Amarok headlamps and we had to adapt and fit a Hilux headlight to make the car legal again. So yes, the car is looking a bit scrappy, but we have made it into day 13 of 14. 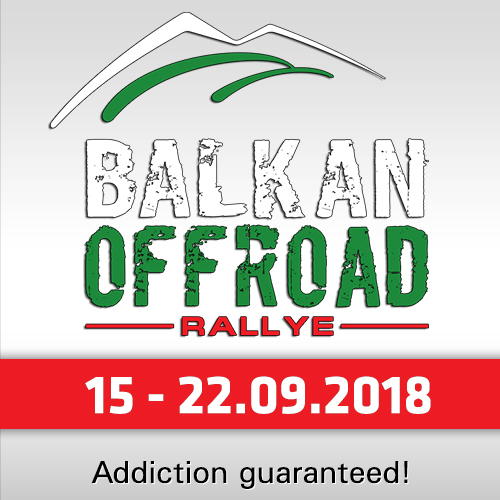 We are exhausted, excited, nervous and delighted all at the same time and we can almost touch the finish but we still have two days racing to get there - it's an incredible feeling!" "Tonight I will first thank our brilliant service crew for their unfailing efforts. When we go to sleep after a tough day's racing, they work on the car until it is right and then they still have to travel a long drive to the next bivouac as soon as we set off - it's a daunting task and they have done us proud," de Klerk concluded. "And of course our supporters - family, friends fans here, around the world and of course everyone back home in SA who has followed our every move as we have gone - we once again salute and appreciate every one of you - thank you!"